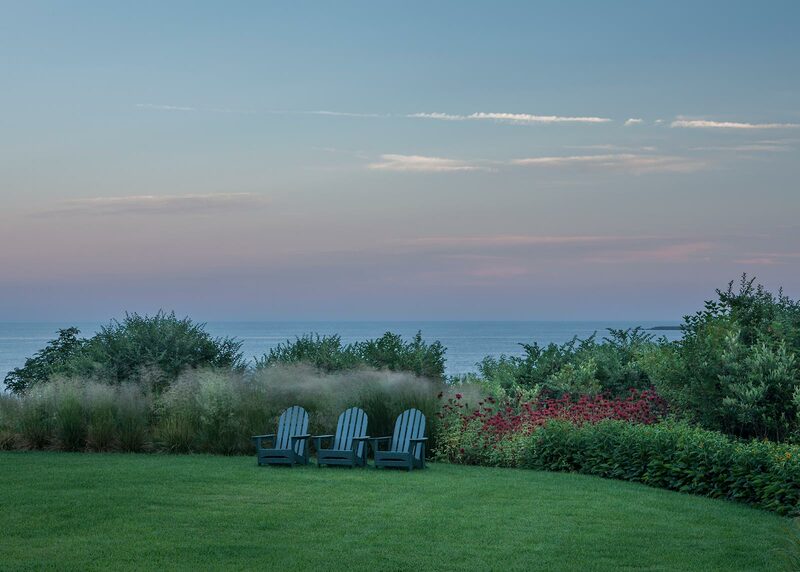 Prouts Neck, a peninsula in the wetlands of coastal Maine, is famed for providing artist Winslow Homer with spectacular views of the ocean, inspiring significant artistic output during his many years in residence there. 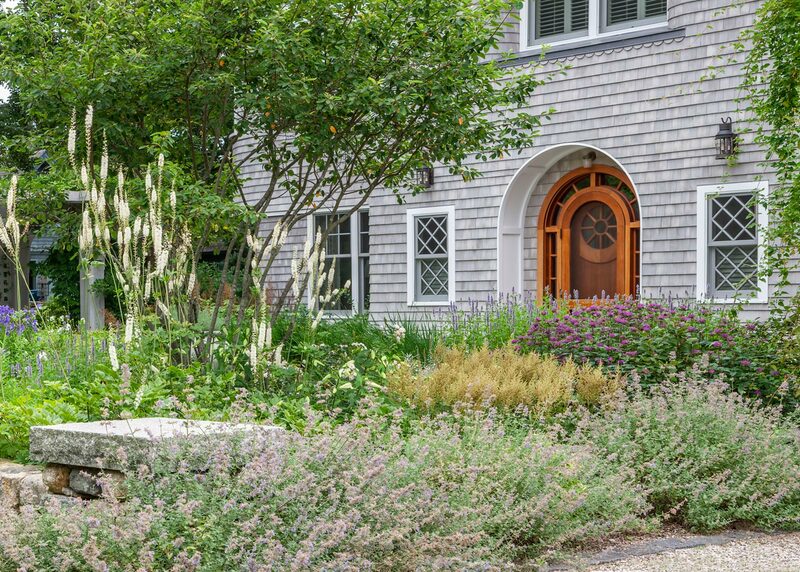 Designed by frequent OvS collaborator, the late architect Elliot Rosenblum, in the innovative shingle style of Maine’s foremost nineteenth-century architect John Calvin Stevens, this new family home appears to have occupied the spot forever. Lush garden plantings further that conceit. 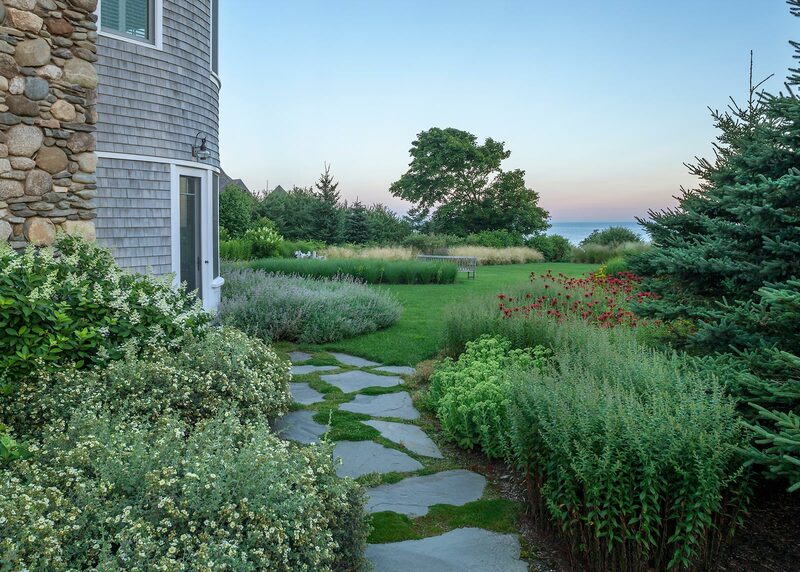 OvS designed the terraces that connect the house to its ground plane on the Casco Bay. 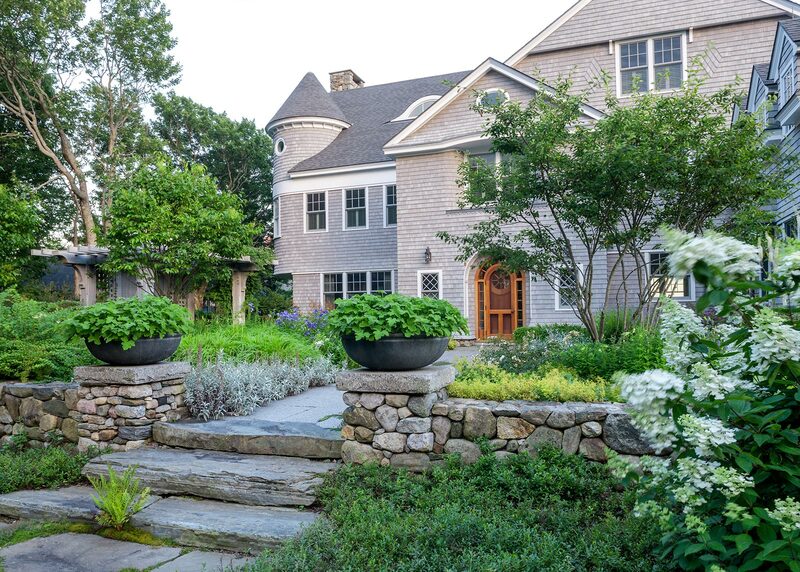 The low stone walls were built from local rock, with massive stone steps leading to a granite-paved entry garden. 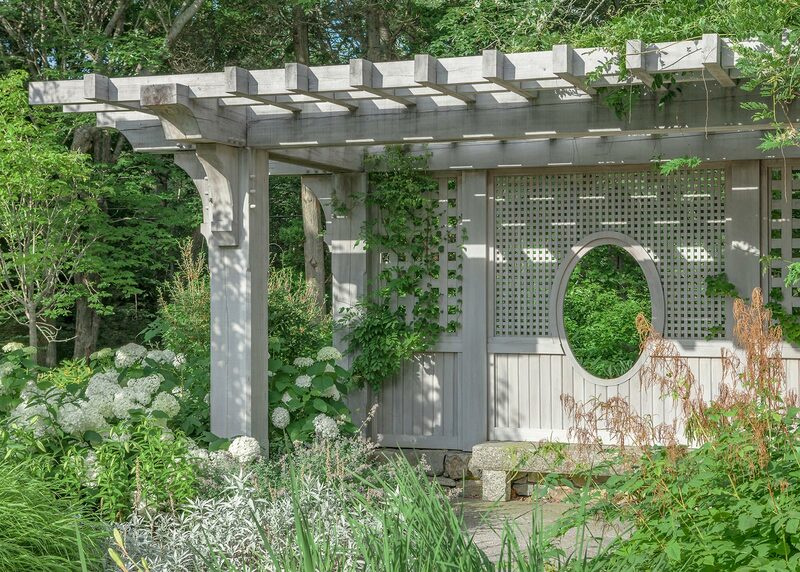 The large footprint of the house required screening and OvS-designed garden pergola not only provides a destination, but also shields the view of a neighboring property. 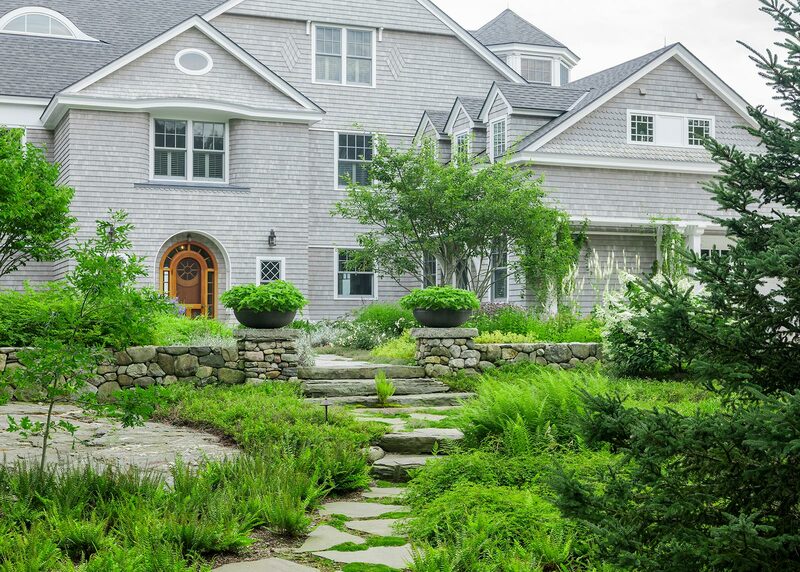 Constructed of cedar, this “rustic” structure with its exposed joinery and stone foundation perfectly complements the house and its references to the 19th century. 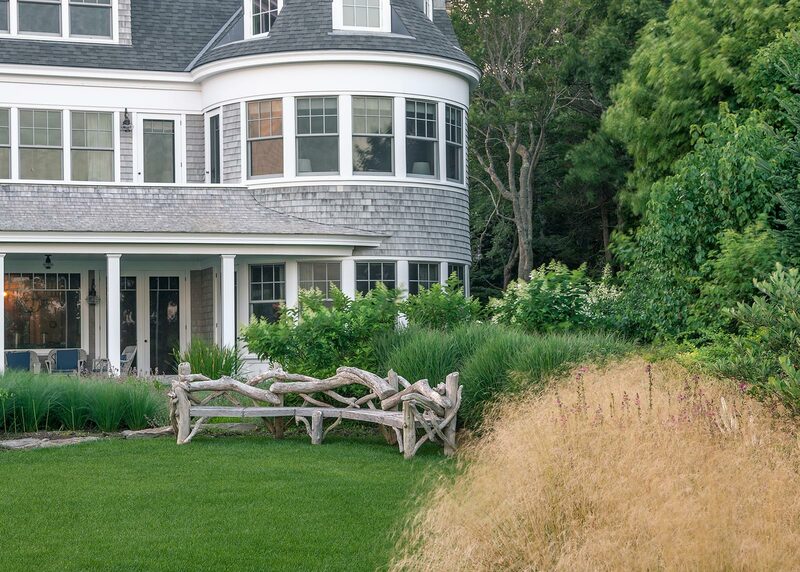 The lawn is surrounded by beds containing grasses, perennials and plentiful blueberry bushes. Take a seat and gaze up at the house and gardens or wander down to the famous rocky coast that so inspired the famous painter.